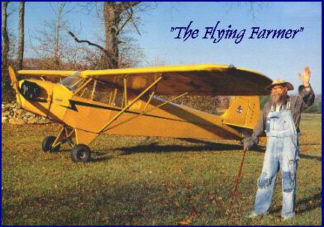 Charlie Kulp - aka 'The Flying Farmer' has demonstrated his "inability" to fly over 700 times in the past 28 years. A good sense of humor and a little yellow plane have helped this bumbling farmer create thrills and laughter for thousands of air-show spectators. His able steed is a standard 65 hp. Piper J-3 Cub, unchanged since its manufacture in 1946. Charlie celebrates 58 years of flying this year. He has performed from Canada to Florida, and as far west as Oshkosh, WI. Internationally, Charlie has entertained at airshows in Great Britain. Charlie is a member of the board of Directors for the Virginia Aviation Historical Society and was inducted into the Virginia Aviation Hall of Fame on November 8, 1997. John Greenwood has entertained thousands of people with low-level aerobatics, in his Pitts S-2A, for many years. A native Virginian, John served as a pilot in the U.S. Air Force during the Korean conflict, flying B-26s and B-29s. He has been performing aerobatics since 1959. He purchased the factory-built PItts, which he uses today, in 1979. The plane is powered by a 200 hp., fuel-injected Lycoming engine with inverted oil system and smoke. The airplane weighs only 1000 pounds and has the symmetrical airfoil. John has performed for several governors of Virginia and Maryland, as well as the Vice President of the United States. Essell & Falkner - the Quicksilver Wingwalking Team gives a real "nail-biting" performance with a death-defying 360 "Field Sobriety Test" with only one foot touching the aircraft, and no safety belt. The duo also performs a "Reverse Photo Pass" with the wingwalker taking pictures of the crowd. Bob [Essell] is celebrating his 19th year in the airshow entertainment industry. He is a commercial pilot, flight instructor, and former member of the U.S. World Ultralight team. Jon [Falkner] has been wingwalking since 1991 and is the only professional "light aircraft" wingwalker in the world. 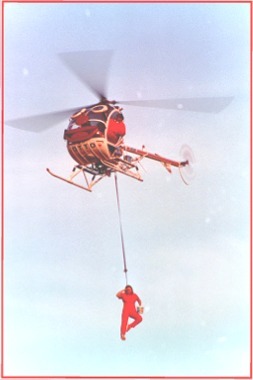 "OTTO" is a Hughes 300 three-place helicopter who delights, amazes, and entertains children of all ages, as well as the young-at-heart. 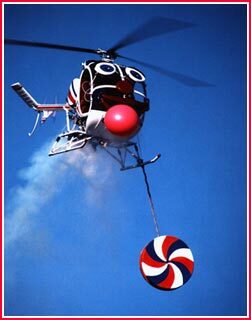 OTTO has a bubblegum contest with the kids in the audience, plays with a 75 pound yo-yo, races barrels like a horse, catches a thief, and does aerobatics "OTTO Style" in his own special way. 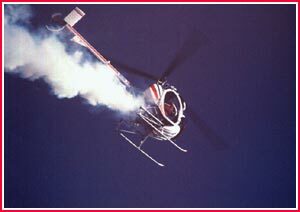 OTTO is the premier air-show helicopter comedy act, and has delighted thousands since 1991. Berlin Airlift - C54-E "Spirit of Freedom"
The non-profit Berlin Airlift Historical Foundation, organized in 1988, is based at the Robert J. Miller Airpark, Toms River, New Jersey. The foundation owns and operates a World War II, four-engine, Douglas C54-E R5D4 "Spirit of Freedom." This popular air-show aircraft is a flying museum, memorial, and classroom. Photographic panels, charts, murals, artifacts, and replicas tell the story of the airlift, and of the thousands of service men and women who made it successful. Crew members are trained lecturers, and some are Berlin Airlift veterans. The "Spirit of Freedom" is more than a large, four-engine aircraft - it's an air-show experience. In 1996 the "Spirit of Freedom" received the Best Cargo Aircraft trophy from the Experimental Aircraft Association at the Oshkosh, WI gathering. The foundation also received the Special American Freedom Award, presented by humanitarian Joe Warner at the annual meeting of the Berlin Airlift Veterans Association. The Mid Virginia Radio Control Aircraft Club flew four of their one-quarter and one-third scale model airplanes on both Saturday and Sunday.